Unless you happen to have bought a farm from an organic gardener, chances are that fertility should be your first concern when it comes to gardening. Although I don't recommend that beginning homesteaders do much in the way of livestock, I do believe that everyone should start a worm bin immediately. 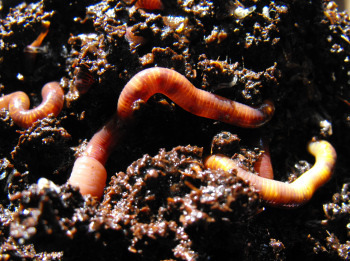 Worms take nearly no time and create some high quality compost to get you started. If you have a half hour per day to put into the operation, I also recommend that you build a chicken tractor with two to five chickens in it. (Start small!) 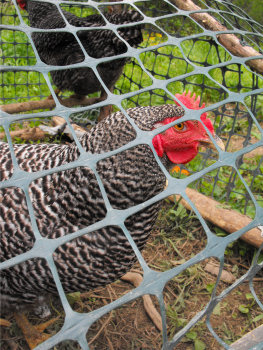 You can use the chicken tractor to add fertility to worn out parts of the soil while you start gardening in higher quality areas. Next, start scrounging for free fertility in the surrounding area. If you live in town or near town, stock up on garbage bags full of leaves in the fall. If you're out in the country, start asking your livestock-owning neighbors what they do with their manure. Chances are they'll give it to you for free if you haul it away. If your farm has a large wooded area attached, you should also go out hunting stump dirt, which is some of the best potting soil around. Stop and chat with the tree cutting folks and ask them if they will dump some mounds of wood chips in your yard --- they often need a way to dispose of these chips and will give them to you for free. Be aware that you need to let wood chips rot for a couple of years before using them as mulch. Building the fertility of your soil is a long term investment in your land. Not only that, mulch will cut your weeding work in half while increasing yields. You will have a better garden in the long run if you hunt down fertility sources before planting a huge garden.